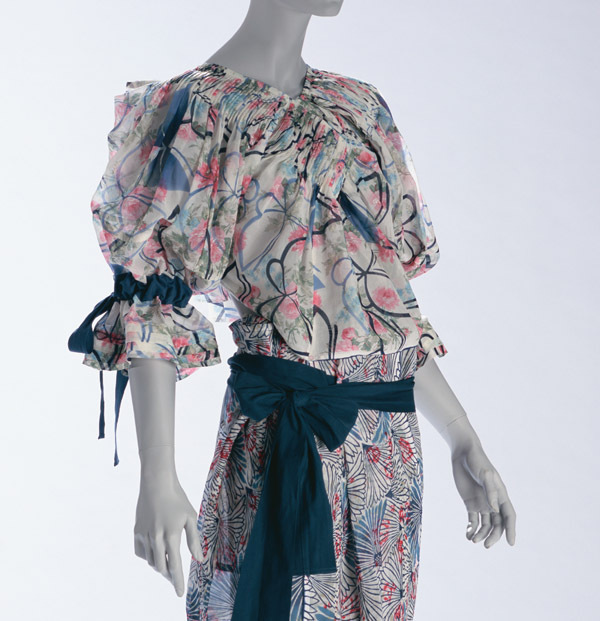 Plaid-patterned polyester plain-weave dress, covered with ruffled transparent film. 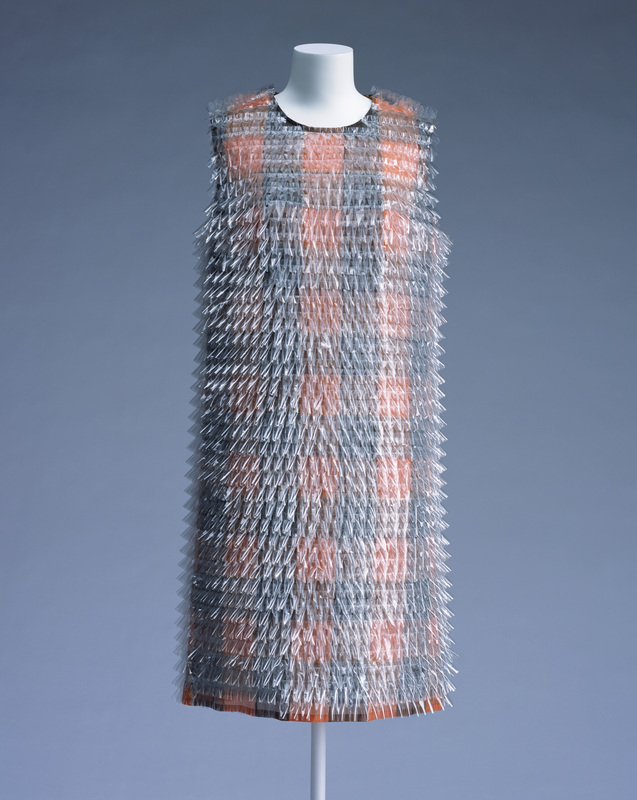 Junya Watanabe explores the properties of new materials, and uses their characteristics to maximum effect in his designs. 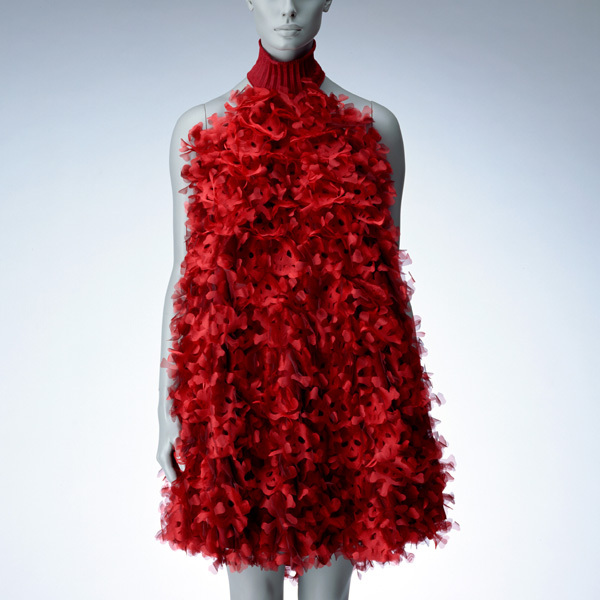 This dress has a mysterious texture that amply demonstrates his abilities. 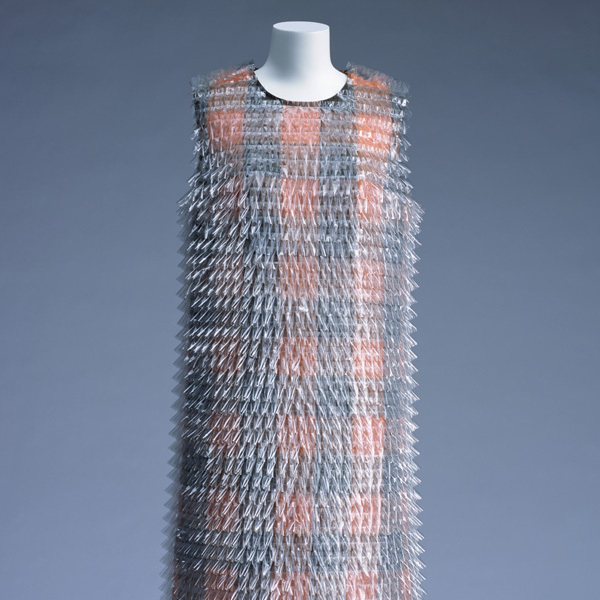 A simple tubular dress covered with polypropylene scales, it seems inorganic at first glance. 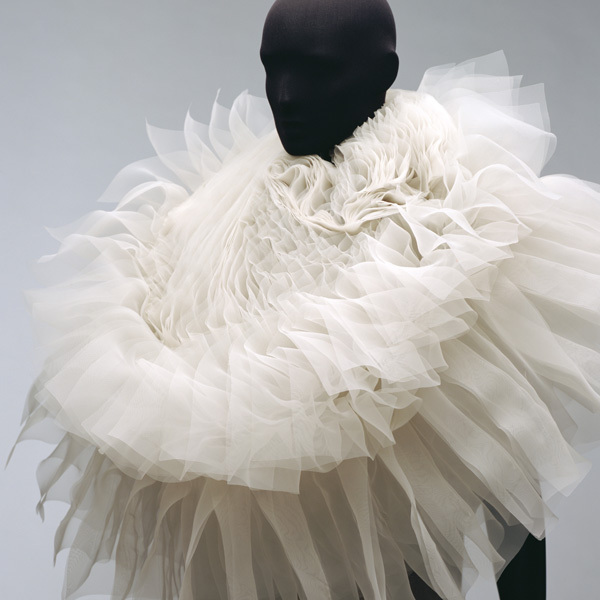 But when the wearer moves, and the fabric deflects, the texture changes dramatically, stirring emotions. Watanabe selects fibers that make the textiles more breathable and water-repellent, varying their combinations and dyeing methods. 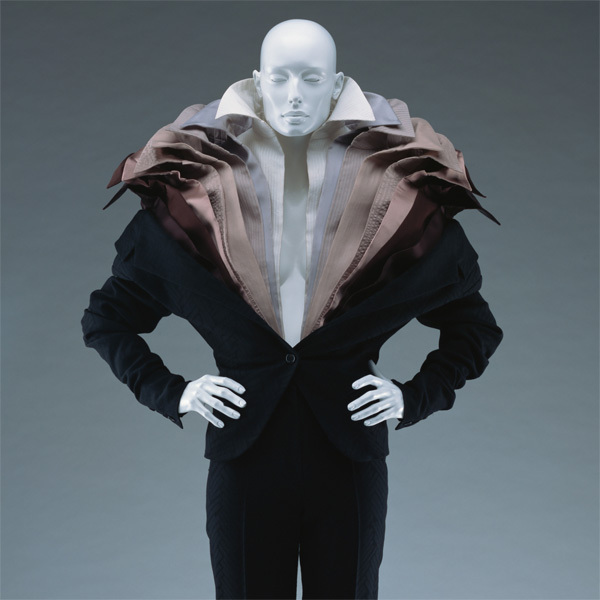 Employing high-tech weaving that ensures a pleasant feel of the materials, he creates clothes with an abundance of fantasy. 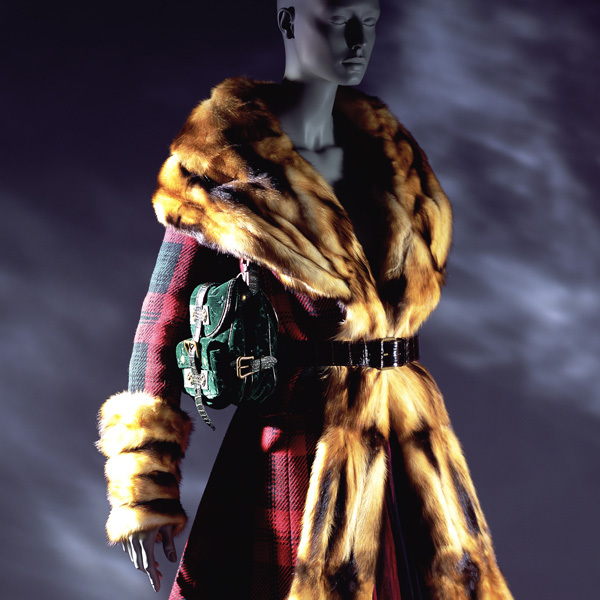 According to the November 8, 1999 edition of the Senken Shimbun, this season’s show attempted to demonstrate the quality of the material to withstand 80 washings by the surprising and delightful expedient of creating artificial rainstorms to drench the models on the runway.